Data center and server cooling fans demand high energy efficiency and low rotating vibration to achieve thermal requirements and operating performance. Delta's 3-Phase Brushless DC Motor Fans, powered by 3-Phase motors, provide smoother transition between slots compared to single-phase motor fans. The benefits of 3-Phase motors include low cogging torque, low vibration disturbance, smooth rotational torque, and high power efficiency. 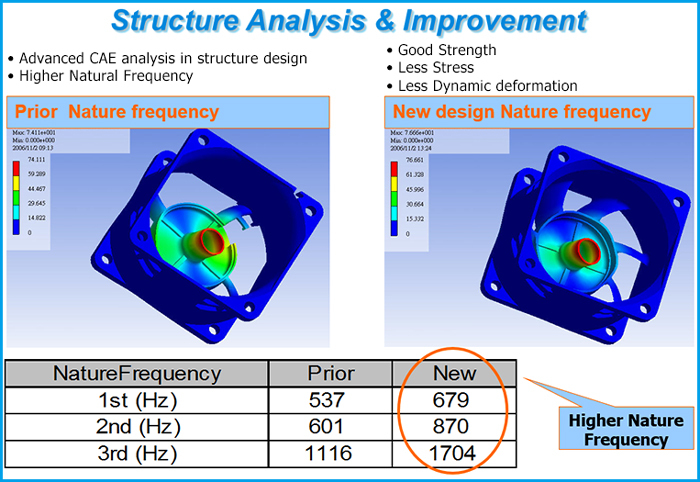 Delta is constantly studying the CFD analysis and Delta's own airflow section software. We assess every aspect of the fan's airflow path to minimize the vortex which delivers a more efficient product. 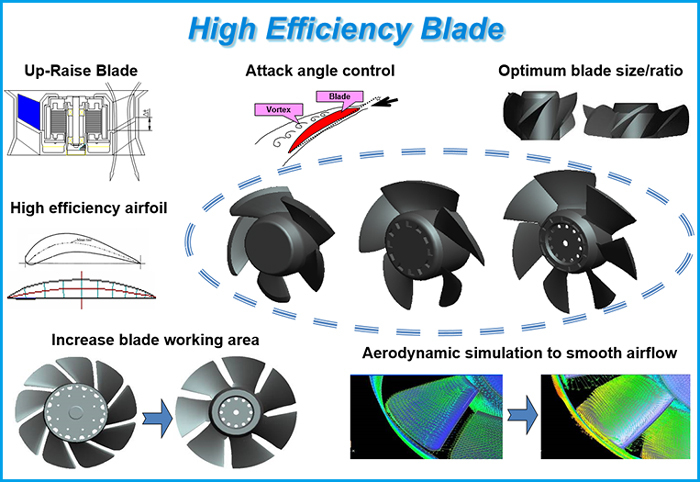 Delta continues to develop innovative cooling solutions in optimizing our fan's blade design to increase the aerodynamics for maximum energy efficiency and lower vibration. Well-known operational control circuit for motor driving availability can serve to evaluate the motor back electromotive force impact of efficiency and vibration. 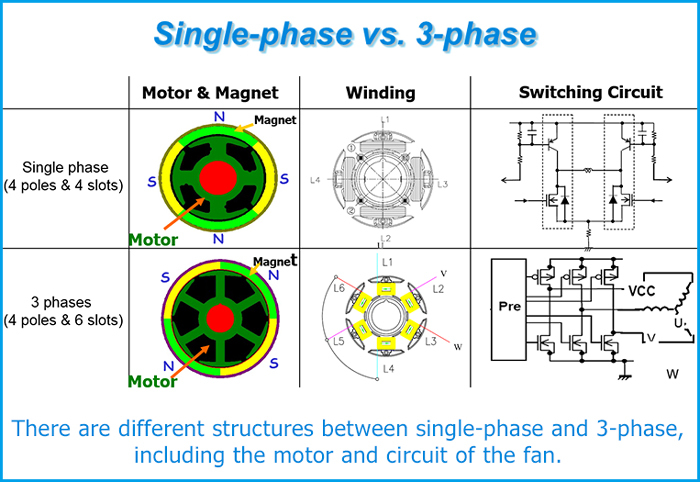 Delta develops precisely 3 phase motor driving technology to control fan rotation with minimum back electromotive and switching noise.